Ole Gunnar Solskjaer spoke to Sky Sports after winning his first four games in charge at the club. Ole Gunnar Solskjaer described his maiden clean sheet as Manchester United manager as a "big plus" on the night he emulated Sir Matt Busby. Second-half goals from Romelu Lukaku - 38 seconds after coming off the bench - and Marcus Rashford saw Solskjaer become only the second manager in Manchester United history to win their opening four games at the helm. 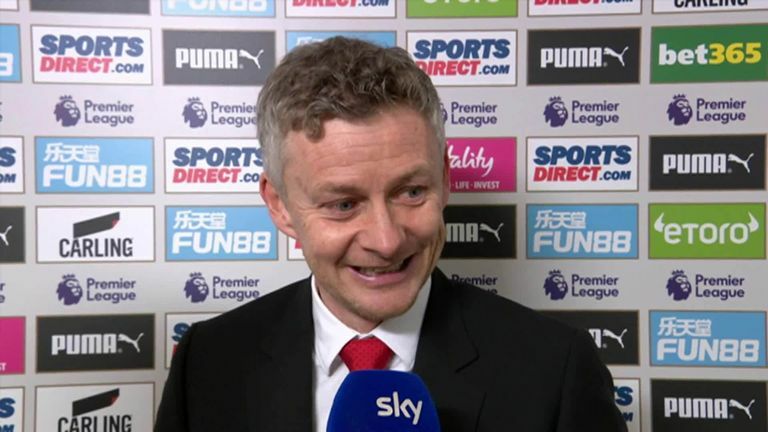 "It was the fourth clean sheet from open play on the spin," Solskjaer told Sky Sports. "Finally we kept a clean sheet from set pieces. "It was a very professional performance, we didn't hit the heights that we can do but I felt we were in control and kept plugging away. "We controlled things more in the second half, we were sluggish in the first. It almost seemed like a testimonial at times, too many touches, too many square passes. "But the big, big plus is a clean sheet." 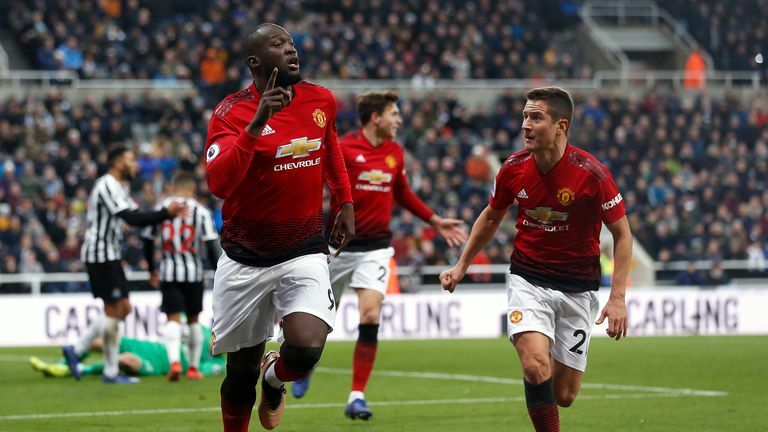 Lukaku scored with his first touch after coming off the bench, converting a rebound after Martin Dubravka spilled a dipping Rashford free-kick. Rashford then showed great composure with United's second on 80 minutes, and Solskjaer has welcomed the selection headache his two in-form strikers have given him. "It was a great strike again from Marcus and a good reaction from Romelu," the interim Manchester United boss added. "When you see big Rom running towards you as a 'keeper, I think you'll stick your hands away." Asked whether he would pick either Rashford or Lukaku in future, he replied: "You can play with two of them. "One can play on the right, one through the middle, it gives me options."